The Faculty of Education is on track to increase their enrolment in the Post Graduate Certificate in Education (PGCE) to 120 by 2014, as part of the plan and agreement with the Department of Higher Education and Training (DHET). When DHET asked the Education Faculty at Rhodes University what it needed to increase students’ enrolment? They responded by saying that they need a new facility to accommodate more students. As the results Rhodes received an infrastructure grant of R16.8 million and by 2012 had reached the 2014 enrolment target. “Our throughput rate is 98% one of the best, if not the best in South Africa,” remarked Dean of Education, Prof Di Wilmot. On Thursday (13 June 2013) last week, hard hats were laid aside as construction workers joined Rhodes University staff for the roof-wetting of the new Education Department. “A building is far more than bricks and mortar: space and spatial design reflects and communicates ones teaching and learning philosophy and values,” said Prof Wilmot. Costing R16.8 million, the double storey building will have a beautiful view of the Botanical Gardens and has been meticulously designed by architect Andrew Thomson to fit in with the style of the existing buildings on St Peter’s campus. “Brick by brick, you made this building happen,” said Vice-Chancellor, Dr Saleem Badat while thanking the men working on-site. Six of the artisans completed training in erecting scaffolding and first aid and were presented with certificates by Dr Badat. Dr Badat thanked the Estates division and the Department of Higher Education and Training, which provided most of the funds. He said CM Heunis building contractors have been using only local labour. “We understand that, as a university, we are part of this town and this town needs jobs,” said Dr Badat. He added that now Rhodes is counting on Makana Municipality to provide adequate water, electricity and basic amenities. The impetus for the new building which has been constructed on the site of the Law and Education Department’s parking lot came from the Department of Higher Education and Training in 2008. The new building has large flat spaces for teaching and learning and a 150-seater auditorium that is raked in a way that enables formal lectures and social learning in groups. “We did not want the new building to compete with our beautiful existing building but at the same time we did not want to simply replicate the past,’ said Prof Wilmot. “The new building is thus designed to blend with the old; complementing it and at the same time signalling a shift into the future. We have tried to make a bold statement about Rhodes University given that this is the public face of the university coming in from the N2.The tower is iconic: a beacon of hope and light for the future,” said Prof Wilmot. Dr Badat complimented Prof Wilmot on her passion and tireless dedication to the project. “Your innovation and vision is part of this achievement,” he said. 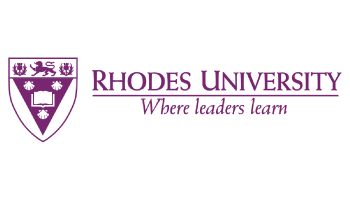 The Rhodes Education Department established a User Group chaired by the Dean of Education to conceptualise a building characterised by an easy flow of people between the existing and new buildings, teaching and learning spaces which enable and support participatory social learning processes, and the use of the latest information technologies. This marks a boom for the university with a new Library, Environmental Learning and Research Centre (ELRC), and seven new residences being built over the last few years. Dr Badat is excited about the prospects of a new R120 million Life Sciences building as well as a new School of Languages and post grad residence.